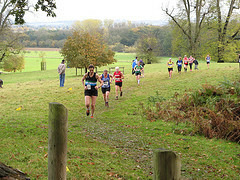 The Chiltern Cross Country League runs a series of 5 monthly races,(or ‘mob’ matches) on Saturday afternoons from October to February. For the Senior Ladies these consist of courses between 5.5km – 6km and the Senior Men running a slightly longer 8-10km, generally undulating (often muddy ). It is a team event, with everyone who takes part counting towards the final score. So don’t worry if you are not in greyhound mode, just by participating you will be helping your team in accumulation of points which dictate our position in the league (basically just by finishing in front of one other contestant you could be taking points away from them and their team!) 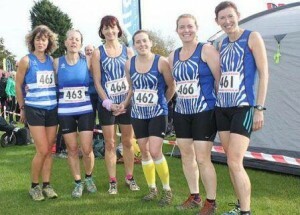 All you need to take part in all this fun is a Tring vest and sense of team spirit.. The races themselves are free, and there will normally always be someone to help with lifts to and from fixtures.